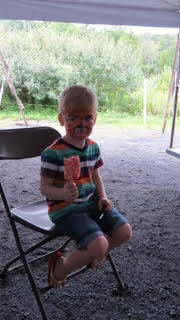 "Went to see JINGO the other night. As a former talent recruiter who exclusively worked with NYC’s William Morris Agency, I was blown away by this Santana tribute band. 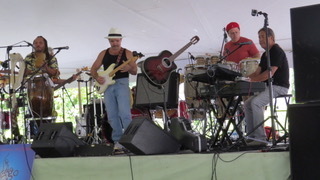 The percussion instruments are incredible balanced with outstanding guitar, keyboard play and vocals.  If you love Carlos Santana, JINGO is a “must see”...you won’t be disappointed!" 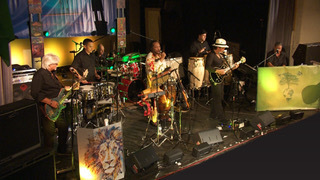 The meaning "Afro – Cuban” derived rhythms and chants, creating a rhythmically sensual sound and harmony. 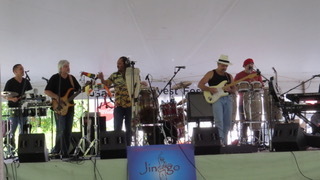 JINGO is a seven piece Latin-Rock band consisting of musicians from around the world creating the rhythmically sensual Afro-Latin-fusion-blues-rock music of Santana. The six top flight musicians of JINGO capture all the excitement and energy of this guitar legend and his band. JINGO takes you on a Santana anthology trip playing his best loved songs from 1969 to present day. 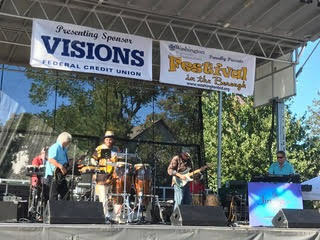 Performing in numerous clubs, ballrooms and festivals of the tri-state area, JINGO draws upon and creates the Latin, rock and jazz influences that separated Santana from the typical rock band. 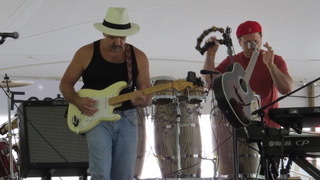 JINGO reproduces the excitement of Santana live, captivating the audience and leaving them wanting more. 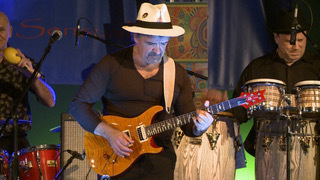 The unique sound features Santana’s melodic, blues-based guitar lines set against Latin and African rhythms featuring percussion instruments such as timbales and congas not generally heard in rock music. Topping the charts with hits like Black Magic Woman, Oye Como Va, Evil Ways, Maria Maria and Smooth and producing signature instrumentals such as Jingo, Soul Sacrifice, Samba Pa Ti, and Europa. 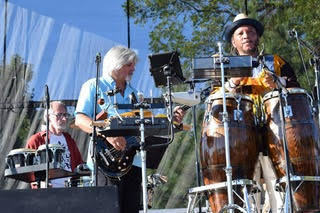 "Jingo" captivates the true essence and sound of Santana. 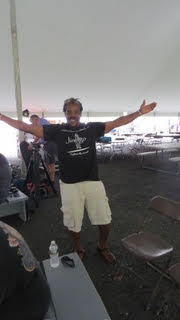 Mike Smith Lead Guitar, Acoustic guitar, vocals; Mike got his start in the early 70’s idolizing some of the greatest of all times like Hendrix, Blackmore, McLaughlin, DiMeola, and of course Carlos Santana. 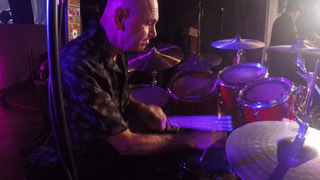 Studying guitar at an early age then through the 80’s and 90’s playing classic rock with several club bands, Mike is the final piece that is Jingo and he makes no compromise when it comes to playing Carlos….and you only need….to Listen! Rich Mertrud Keys, vocalist, musical director; performed his first solo piano concert at age 9, on Steel Pier, Atlantic City. Was in a singing and dance team “Up Up With People” in his teen age years. 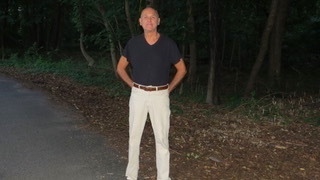 Rich formed his first rock band right out of high school, playing the NY, NJ club and bar circuit scene with the rock band “Cross Roads”. Rich also recorded and debuted his first original act “Prime Example” in 1992. In 2010-14 he becoming a member of “Abrazos” a Santana tribute band based in NY City. 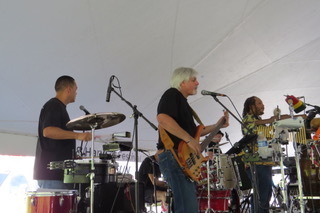 After the deformation of Abrazos, Rich brought the band to NJ with a new name and some new members to continue the tradition here in the tri states and the east coast playing the music of Santana. Les Piela Bass player, vocalist; Les started playing guitar at a very young age but switched to bass in 1978. 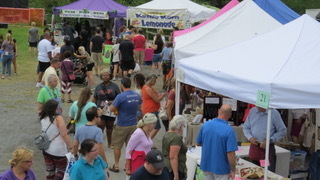 He played in a number of professional and local bands, most notably “The Good Times Band” and “The Jades”, performing in both private and bar/club venues throughout the tri-state area. He performed at the Beacon Theatre, NYC where he backed the Crystals, Darlene Love and the Ronettes. 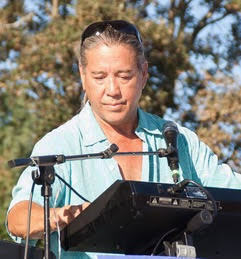 He has opened for national acts such as Peter Tork (formally of the Monkees), Robert Klein and performed at Meadowlands Arena (formerly Continental Airlines Arena and IZOD Center). 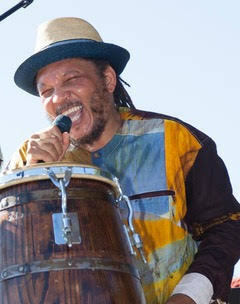 Tschaka Tonge Timbales, vocalist; Tschaka is a veteran singer/song writer and percussionist who is fluent in African, Afro Caribbean and African American musical traditions. 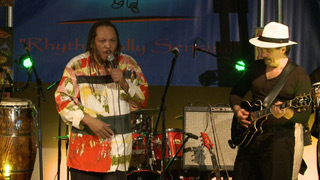 He is credited on two record single releases: “Life is a Festival” in 1980 and “Kwanzaa Oh Kwanzaa” in 2009. Tschaka has also performed and recorded with such luminaries as Chaka Khan, Rita Marley, Third World, and Paul Shaffer to name a few. Music remains his passion and he is extremely happy to be a member of Jingo. Peter Tateo Drums, percussion; Peter's musical beginnings started in 1972, when he joined the Hawthorne Caballeros, a field marching unit that toured and competed across the country winning numerous championships. 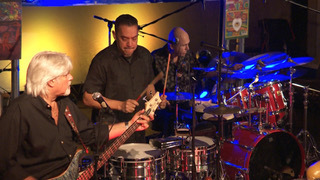 Continuing his love for Latin music, he joined an original band Rivas. Peter composed and recorded the drum soundtrack for the documentary on Mohammad Ali's trip to Russia entitled Ambassador. With the writing bug still fresh, he collaborated with Nagee, a contemporary jazz saxophonist, and composed and recorded on the self-entitled album, Nagee's Theme, which earned him a gold album. He also teamed with musician Charlie Elgart for two groundbreaking projects on the RCA Novus jazz label. Another stop on his musical journey was playing with a cover band with our own Les Piela. 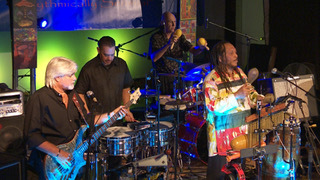 Throughout his musical career, Peter carried a passion for Latin music, and particularly that of Carlos Santana. thrilled to now be a part of the Jingo family, Peter is ready to continue that passion and, together, strive to enhance appreciation for the music of Carlos Santana and bring down the house. 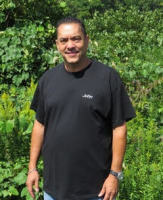 John (Jon-Roc) Camil Timbales, Bongos, percussion, vocals; Born and raised in NYC of Puerto Rican heritage where he was exposed to all kinds of music, he played drums & percussion with bands that played rock, funk, disco, reggae, latin rock and salsa. At the age of 15 John did his first recording along side of bassist John Pena of (Los Lobotomys) with puerto rican gospel great Merari Castro and then played and recorded with Spanish Heart out of NYC which was compared to Carlos Santana. Ironically playing latin rock feels good and playing with Jingo feels better. 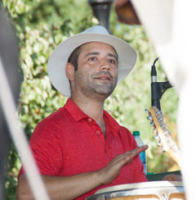 Douglas Bueno Medina - Congas, vocals; Doug grew up having his family as a huge musical influence. Surrounded by multiple genre’s of music his whole life, Doug decided as a teenager to study Congolese music and dance for 15 years where he is dedicated to Afro-Latin rhythms... Keeping Jingo’s sound uniquely sensual and soul thriving.